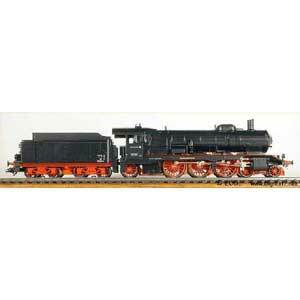 German Federal Railroad (DB) class 24 steam passenger locomotive with a tender. Standard design locomotive with Wagner smoke deflectors. 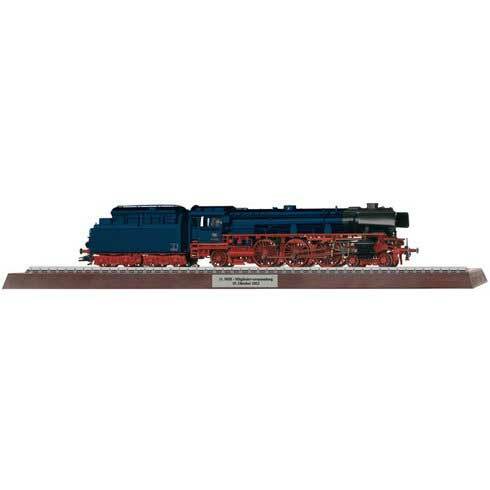 German Federal Railroad (DB) class 42.90 Franco-Crosti freight locomotive. Version with Wagner smoke deflectors. German Federal Railroad (DB) class 74 tank locomotive. German Federal Railroad (DB) class 81 heavy switch engine. The locomotive has a digital decoder. Prototype: German Federal Railroad (DB) class 86. German Federal Railroad (DB) class 89.0. Standard design locomotive. The locomotive with a Delta electronic circuit.